Cyrus CD6 SE2 review | What Hi-Fi? It’s our job to spread the good news when products hit the spot. And Cyrus has been hitting the spot with regularity in the past few years in the shape of its separates components. While the numbers ostensibly stay the same, Cyrus consistently modifies and upgrades its 6 and (more expensive) 8 series of hi-fi separates and the results tend to be every bit as predictable. This is our first look at the latest version of this CD player, now the Cyrus CD6 SE2, alongside the new 6a amplifier, which received a glowing First Test verdict earlier this year. Crucial to Cyrus’s recent success has been the development of its own CD transport. By building its own software engine to read the data on the disc, and by cherry-picking the best individual components, the company claims to get more of the crucial information off the disc without errors. Elsewhere, much is the same. The half-size style remains and the player, complete with a low-resonance aluminium chassis, is available in brushed black or quartz silver. 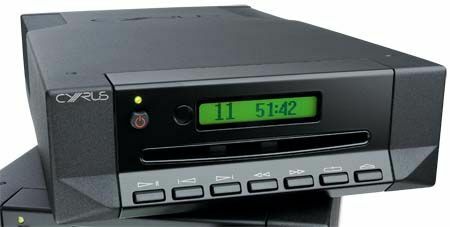 The CD6 SE2 borrows plenty from the more expensive CD8 SE2 (it can, of course, be upgraded to the latter's spec), though it uses a single power transformer and it has analogue stereo and digital optical outputs. Used in tandem with the matching Cyrus 6a amplifier, the Cyrus character sings through loud and clear. This player is controlled, clear and incredibly detailed. Listen to Nas and Lauryn Hill on If I Ruled The World and voices are brilliantly presented, revealing every subtlety and small inflection. Bass is taut and powerful, while drums hit with precision and punch. Tchaikovsky’s Sleeping Beauty in the hands of the Philharmonia Orchestra tests the set-up’s dynamics and agility. You can get a little more grunt elsewhere maybe, but this scores for bass solidity and clarity better than any comparable Cyrus system before it – which is saying something. And the agile box is ticked, too, the combo of CD player and amp being almost impossibly fast and light on its feet when required. It’s true that there hasn’t been much change to the design of the box, nor, indeed, to the particular appeal of the somehow unnecessarily cluttered and complex remote control. No matter: the effective sound tweaks just keep making the Cyrus player even more appealing. Here, then, is a component that is more than the sum of its massively capable parts – and as such, it’s a fearsome benchmark at this new price.